Brain is the most important and the most complex organ in the human body. It is the command center of the body which helps us to move, feel, think and what not. Hence, it is important to keep your brain in peak working condition. The food you eat plays a major role in keeping your brain healthy and active and can even improve your memory and concentration power. 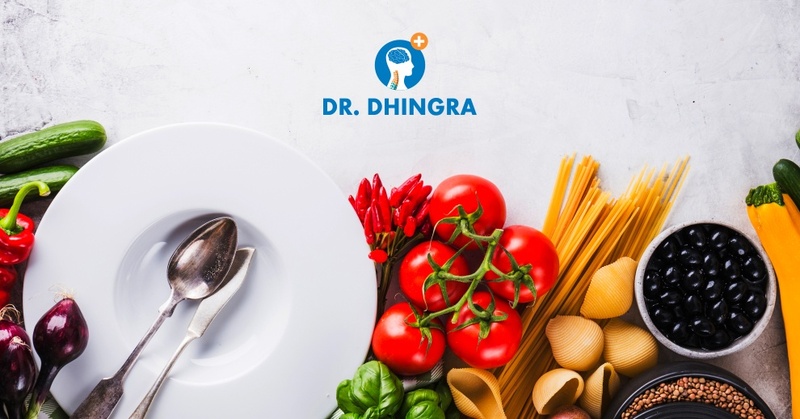 Even the best spine specialist in fortis Mohali – Dr. Anil Dhingra believes that your food choice is the most influential variable to keep your brain in the state of vitality. Include the below mention items in your diet to keep your brain healthy. Fatty Fish – It is considered a rich source for providing omega-3 fatty acid. Your brain uses this fatty acid to memorize. It may slow mental decline with age and also prevent Alzheimer’s disease. Avocados – These green powerhouses are full of monosaturated fats, help to keep blood sugar level stable. It also contains vitamin K and folate, which prevent blood clots in the brain. It is also rich in vitamin B and C.
Blueberries – It is one of the highest antioxidant rich in vitamin C, K, and fiber. The presence of gallic acid, it protects our brain from degeneration and stress. Broccoli – It contains vitamin K and choline, which keep your memory sharp. It is also loaded with vitamin C and is high in fiber too. Coconut Oil – It is one of the most versatile oil and when we talk about brain it is full of benefits. It works as a natural anti-inflammatory and also destroys bad bacteria. Egg Yolks – Yolks are rich in choline which help in brain development for pregnant women. It also helps to keep you happy, as it breaks bethane, a chemical that produces hormones for happiness. Extra Virgin Olive Oil – It has antioxidants known as polyphenols which sharpen your memory and help fight against ADDLs. Add some of these in your diet, to make your brain more active and increase your memorizing power. Dr. Anil Dhingra, Neurosurgeon in Mohali is a specialist in brain, spine, and peripheral nervous system surgery.